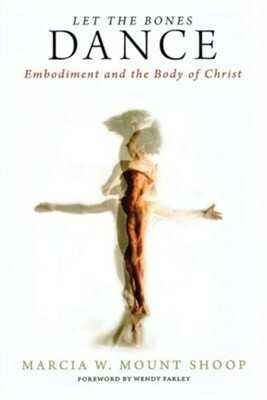 Contemporary Christian faith and practice tend to address spiritual, mental, and emotional issues but ignore the body. As a result, many believers are uncomfortable in their own skins. Shoop addresses this "dis-ease" with a theology that is attentive to physical experience. She also suggests how worship services can more fully invite God to inhabit every part of a congregation- including their flesh and blood bodies. For when individual Christian bodies are allowed to flourish, so will the unified body of Christ. Marcia W. Mount Shoop received her Ph.D. in Religious Studies from Emory University. She is an ordained Presbyterian minister and serves as theologian-in-residence at University Presbyterian Church in Chapel Hill, North Carolina. I'm the author/artist and I want to review Let the Bones Dance: Embodiment and the Body of Christ.